These people are often stubborn to a fault. people with square chins are aggressive and direct. they are not good at expressing themselves or sugarcoating their words, thus may offend people easily and difficult to capture. they also have high pride and like to save face. People with this type of chin are sharp-minded and intellectual, but a little bit neurotic, critical and not good at self-introspection. If the chin is protruding as wee see from the side, it indicates someone who is self-confident and workaholic. they are warm on the inside and cold on the outside. People with rounded chins are deeply emotional and optimistic. as the old Chinese sayings, they might have to work hard in earlier life, but they can enjoy good happiness in later life. Long chin belong to people who are loyal, easygoing and make friends easily. they are blessed to have a big happy family with many grandchildren and lead a peaceful life. 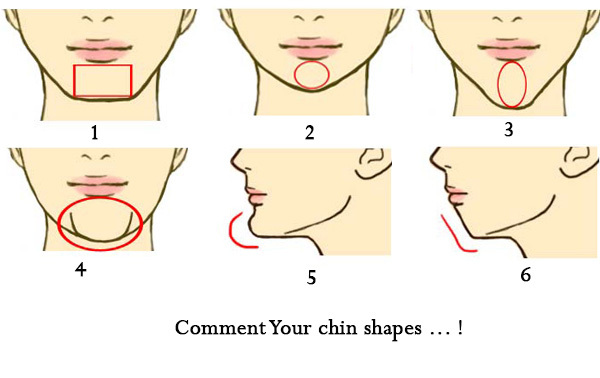 Receding chin are like no chin, and those with receding chins are easygoing, popular and have good money luck, but unfortunately they are indecisive.